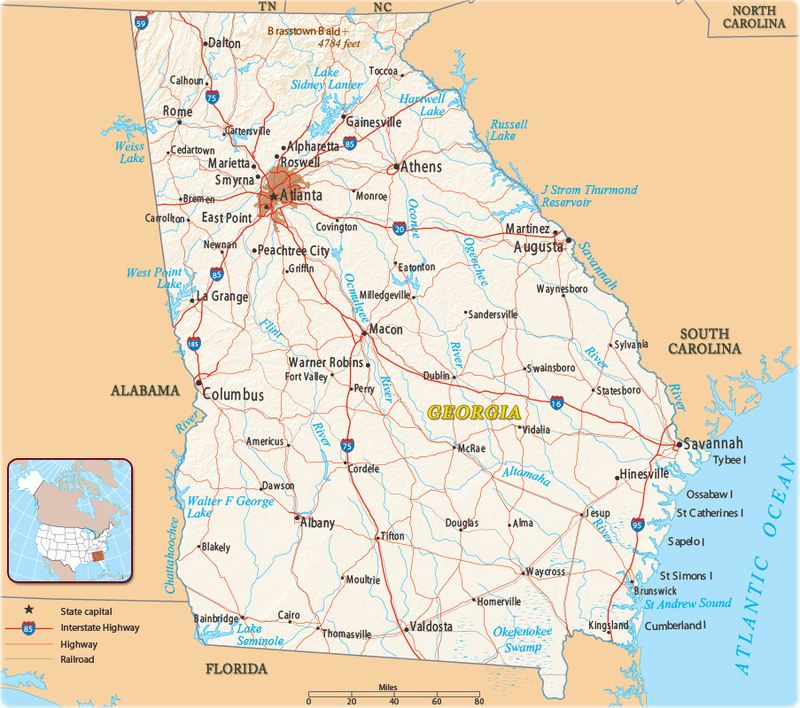 The U.S. State of Georgia was named after King George II. 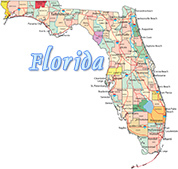 It is the 24th largest state and the 8th most populous. 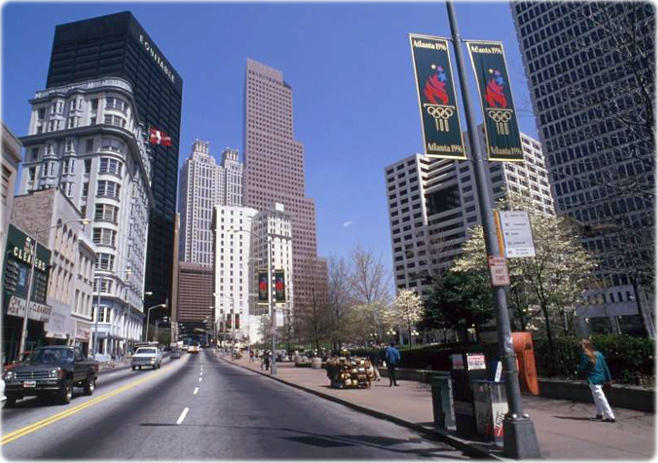 The capital is Atlanta. 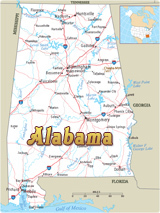 Surrounding states: Florida, South Carolina, North Carolina, Tennessee and Alabama. 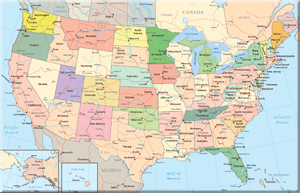 Copyright © Geographic Guide - Geography of USA - GA.